Story Telling Through Art with Megan, 3:30-5:15pm Friday April 19th, 26th, May 3rd - all 3 classes $15 (Ages 8 - 13 years old) - Starts with a story about teen experience and we look at art created by teens. Then we will launch into our own visual creations drawing from personal experiences, using wood, wire, cloth, tools and every day objects to tell our stories. 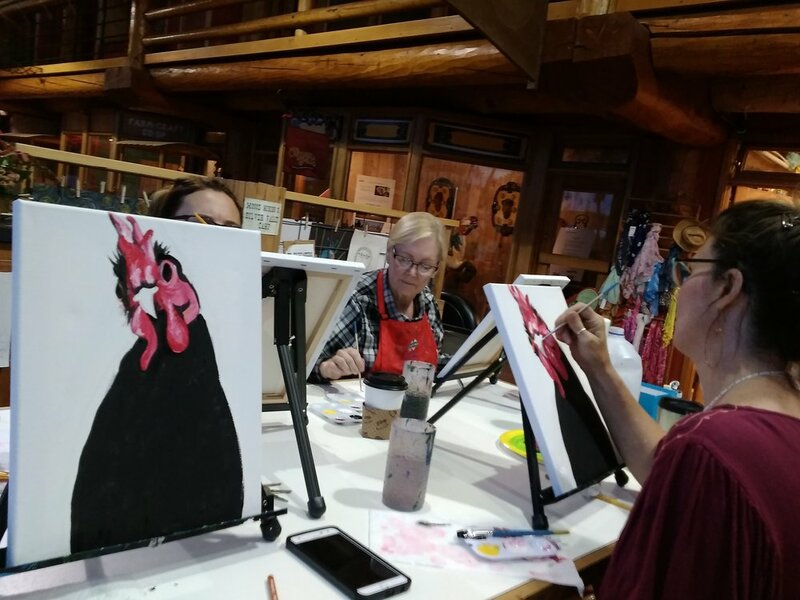 Ladies Night: Make, Sip, and Share, Thursday April 18th 6 - 8:30pm, $35 Dream Box, Enjoy tea, coffee, wine or beer, in the company of women, within your community, while creating three-dimensional works of art. Using elements of paper, paint, glue, wire and found objects, each artist will fashion a piece, incorporating words and images that hold personal intention and meaning. For more art class information and pictures, visit our Creations Facebook page! Creation teaches educational art classes for adults and youth through our Creative Hands Expand the Mind Program. The program’s key component is to offer skills based art instruction classes that are accessible to all Bonner and Boundary County children and adults. During the program year Creations offers a variety of art classes, including: The Art of Drawing, Crafting with Kids; Jewelry Making and Beyond; Children’s Paint and Sip (smoothies); Skills Based Painting Instruction with Mary; Elements of Art; Summer Art Workshop; and Discovery Through Art Special Needs class. In addition to offering on-site art classes on the Cedar Street Bridge described above, Creations has partnered with numerous local schools, city and county government entities and other community organizations to offer art classes and projects out in the community. Creations ensures excellence in the artistic quality of our programs by creating curriculum using the Idaho Content Standards for the visual arts. Our curriculum includes critical thinking and historical and cultural context, along with identifying the needs of the students, including fine motor skills, arts elements vocabulary, composition and learning to critique each other’s work.